Salt may have been a large factor in determining the success of various societies and even the amount of freedom its citizens had. Where salt was scarce, strong, controlling rule prevailed to ensure the availability of salt to all, but where salt was plentiful the need for strong government was not as great, and citizens had more freedom. Only 6% of the salt used in the U.S. is used in food; another 17% is used for de-icing streets and highways in the winter months. 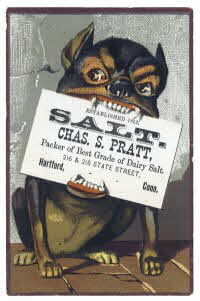 In the early 1800s salt was 4 times as expensive as beef on the frontier - it was essential in keeping people and livestock alive. Common salt, sodium chloride, is sold in several different particle sizes (gradation) and forms, depending on the intended end use. Discrete crystals can be seen in rock salt used for deicing. Fine granules are typical of table salt and even finer popcorn salt. Kosher salt, pickling salt and ice cream salt are slightly coarser. Small compressed pellets are used in water softeners and large salt blocks are used as salt licks for livestock. When viewed under strong magnification, all sodium chloride is crystalline. Very large cubic crystals, of two, three or more inches in size, can be seen in some salt mines. They are transparent and cleave into perfect cubes when struck with a hard object. Cream will whip better better if you add a pinch of salt.